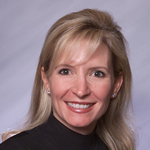 Melissa Weresh joined the Drake University Law School faculty in 1997. She is a Professor of Law and the Director of Legal Writing. She has lectured and written extensively on the ethical and professional considerations associated with legal writing and communication. Weresh received the 2009 Warren E. Burger Prize from the American Inns of Court, a writing competition designed to encourage outstanding scholarship that “promotes the ideals of excellence, civility, ethics and professionalism within the legal profession.” She is a current Board member and the President-Elect of the Legal Writing Institute (LWI), a non-profit organization with over 2,100 members including representatives from 38 different countries. LWI is dedicated to improving legal writing by providing a forum for discussion and scholarship about legal writing, analysis, and research. Weresh is also active in the Association of Legal Writing Directors (ALWD), in various sections of the American Association of Law Schools (AALS). Weresh also recently completed her service as the Chair of Professionalism section of the Iowa State Bar Association. Weresh is the author of numerous books and articles on legal research, legal writing, and ethics and professional responsibility. As a lawyer her practice focused on environmental compliance and litigation.